There’s a tipping point in the market dominance of a product we could call the ‘Hoover point’. When it switches over to being the name for the whole class of products, the way Hoover came to mean vacuum cleaner, that makes it look like its market dominance will be hard to dent. And when it comes to the best presentation software, it can be hard to see past the biggest name in the game. Everybody’s made a PowerPoint. Microsoft is there. But that doesn’t mean it has the best product. Some of the tools you could be using instead come with functionality you can’t get from Microsoft at all, others offer tricks and tools you have to pay extra for. In 2017, the range of choices is greater than ever before, and functionality like file type export, free images bundled or cloud functionality are needed to avoid falling behind. And some of the best presentation tools have something to offer that MS PowerPoint can’t give you: the price. Haiku Deck is already well established as one of the best presentation software out there, and is distinguished from the pack by its images. Not only is the tool completely free, but it also comes with 35 million images and 6 ready-made presentation themes to fit them into. You can also upload your own images (you know, if you check out all 35 million and the one you need’s just not there) from services like Flickr, Google Drive and others. Haiku Deck has always emphasized imagery and style, favoring slides built around gorgeous graphics intended to convey ideas without the dense text beloved of… well, of people who don’t make very good presentations. 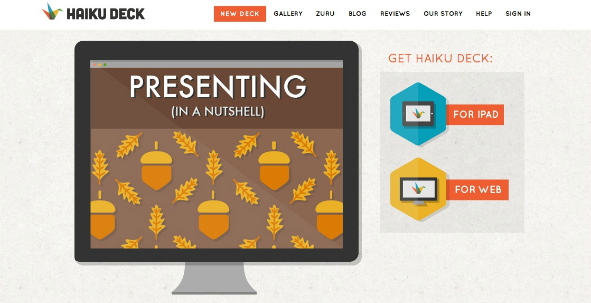 Haiku Deck is entirely web based and stores files in the cloud, meaning you can use it on PC or Mac, and mobile apps for iPhone and iPad, and you can export your presentation in .pptx format and edit it in PowerPoint. SlideDog is a presentation tool that comes packed with features. 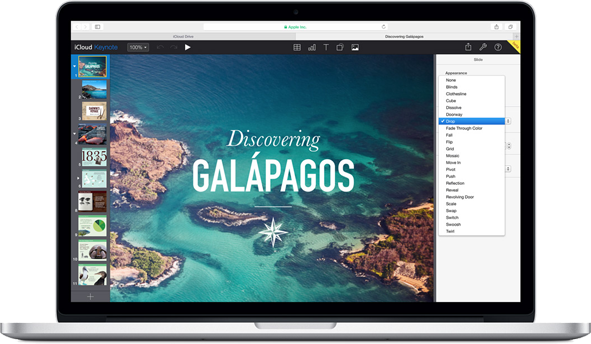 Its major USP, though, is that it lets you create presentations from a mix of different sources. If some of your presentation is a Prezi and some is a PowerPoint, with Gifs, video, various graphics formats and more, SlideDog will cue all your content up seamlessly. No loss of quality, no glitches – everything plays through just as if it was one coherent file type. That’s going to become more and more important; the days when a presentation was an imitation slideshow are over, and the fluidly multimedia presentation offered by SlideDog represents where the whole industry is headed. An additional benefit is the ability to share presentations live online, meaning the audience can follow your slides on their tablets simultaneously. Live polls and quizzes can also be added to the SlideDog playlist, and is answered by the audience from their tablets or smart phones. Add in interactive presentations, a mobile-friendly web remote and seamless support for PDFs, Excel and Word, any image format, any video format and all PowerPoint file types, and you have an agile, effective tool. Like many of the tools in our list today, SlideDog is freemium. The paid plan version offers more advanced features like dual-screen mode, looping, custom background images, and prices start at $8.33/month. 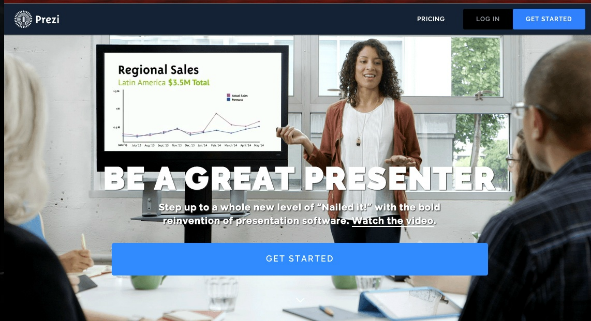 Prezi was one of the first presentation tools to turn its back on the digital slideshow concept and replace it with fluid, non-linear presentations that could respond to audiences. Prezi is free to use, but all your presentations will be visible to the public as it’s all stored on public cloud. That’s not so great if you’re using it for proprietary or confidential data, so if that’s you you’ll probably want to check out the premium service which offers storage for files, offline editing and, most importantly, privacy. Animation and motion effects that don’t form a part of the ‘next slide, please’ outlook mean Prezi is more expressive and you can do more with it and that versatility makes it one of the best presentation software around – and sometimes, one of the worst. Take note: ‘can’ doesn’t mean ‘must.’ Just like a really bad PowerPoint presentation looks like pages of a very large, dull book taped to a wall, so a terrible Prezi is like a technicolor version of Hitchcock’s Vertigo, all whirl and zoom, slews of images and rollercoaster pans. If PowerPoint is a list, though, Prezi is a spider diagram, so it works best when the subject matter itself is nonlinear. If you need to explain something that’s about a complex web of interactions, or you’re going to need to go back periodically and readdress the same material as you go through your presentation, Prezi may be the tool for you. Impress is part of the free-to-download OpenOffice suite from Apache, a desktop-based office suite intended as a free alternative to Microsoft and Apple’s proprietary bundles. 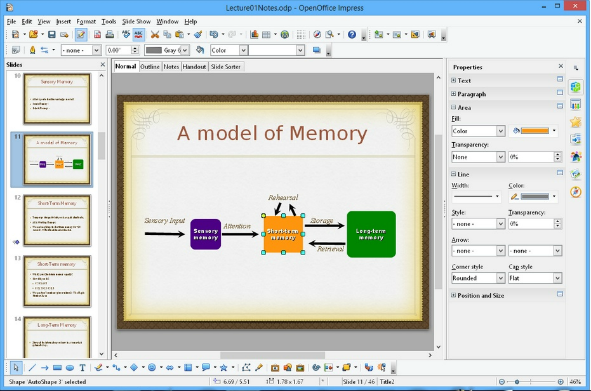 As such, OpenOffice is very much a PowerPoint clone, with similar functionality and facilitating a similar style of presentation. It’s easy and intuitive to use if you’re used to PowerPoint or KeyNote, and you can export files in .pptx format to use with PowerPoint on other computers so there’s no danger of compatibility issues. It’s not features-rich out of the box but extensions are available for free download from the OpenOffice website to enhance it. It makes the list of best presentation tools because it’s a solid workhorse that’s just as good as PowerPoint, and since it’s on this list (and we’ve already mentioned it!) you know it’s free. Slides.com works from the browser window, and stores files in the cloud on the company’s servers. Again, if you’re handling proprietary or confidential data, that’s a mixed blessing. The advantage of Slides.com, as implied by its deliberate inclusion of the .com suffix in the product name, is its compatibility with online services. Presentations (‘decks,’ to Slides.com) can be sent out as emails, exported to blogs or websites and downloaded. It’s even mobile-optimized, with touch-optimized versions of presentations available for phones and tablets. A features-packed tool that’s easier to integrate with a range of distribution services than most, Slides.com is one of the best presentation software for syncing with a content plan. It’s freemium, with a free single-user version and business versions available from $6.00/month. More than creating presentations, SpeakerDeck is primarily a way to share them across the web, increasing your potential audience and letting people view your presentations via SpekerDeck’s website. Mobile versions are available and optimization of content takes place automatically. Speakerdeck also offers the opportunity to share content easily via social media, direct from the SpeakerDeck website. The process is about as simple as it could be – you just sign up (for free), and upload your PDF using SpeakerDeck’s website. That’s it. Keynote is part of Apple’s iWork suite of productivity tools – direct competition for PowerPoint’s crown, in theory at least, and deriving some cachet from its reputation as a Steve Jobs-era presentation tool (though Steve Jobs’ presentations aren’t always the best thing to copy; even he had trouble pulling off that black poloneck). Like many Mac products, it basically did the same thing as the Windows equivalent, but faster and while looking better. However, while it was restricted to Apple products by running only on their OS, it was the best presentation software that most people couldn’t use – kind of like being the fastest train in Canada. Now it’s available through iCloud, free and entirely web-based, Keynote will run on anything with a browser and its capabilities are intriguing a lot more people. Your presentations are saved in iCloud privately (which does mean paying for more than 5GB of storage) and you can present from any computer with a web browser, or run it through iOS devices. You will need an Apple ID, though, and it’s important to remember that this is still technically in Beta and might be changed or withdrawn. However you choose to approach presentations, the tool for you is out there. Hopefully it’s on this list too, but if we’ve missed your favourite off, or if you’ve tried one of our top 7 and have a story to share, have your say in the comments below and let’s talk about it!